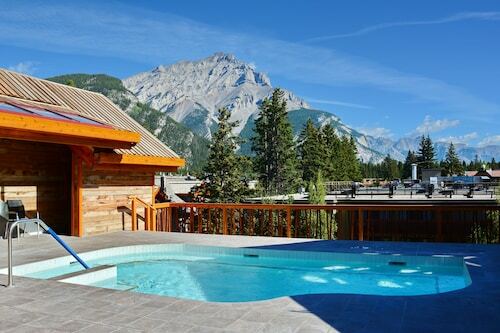 Upper Hot Springs is a thermal pool within the gorgeous landscapes of Banff National Park. 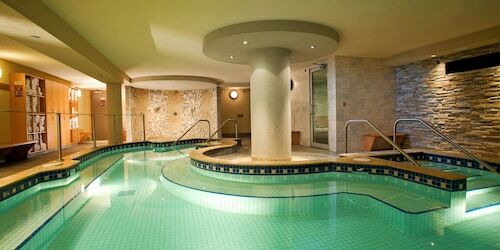 Come here to relax in the geothermally heated and bubbling mineral water that flows from the Earth’s crust through the Sulphur Mountain Thrust Fault. 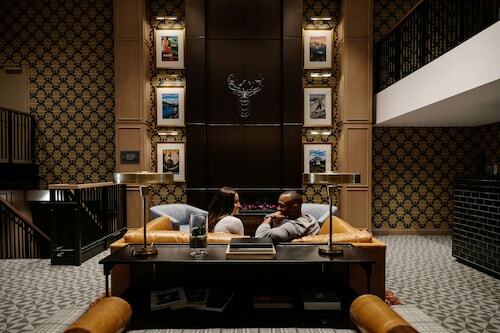 Marvel at panoramic views of the Rocky Mountains as the therapeutic water cleanses and soothes your body. Have a scenic picnic or eat at the café at Upper Hot Springs. Canadian Pacific Railroad workers discovered the springs in 1883. Prior to this, the site was most likely a sacred bathing place for First Nations people. The natural water temperature fluctuates between 81 F (27 C) and 116 F (47 C). Enjoy the pool at a full level even during winter, when the reduced amount of spring water is supplemented by municipal water. The hot springs have been developed for tourism with a bathhouse, changing facilities and lifeguard service. Soak in the warm water and experience its revitalizing qualities. Gaze up at the surrounding snow-capped mountain peaks and alpine forests. Visit in the winter months for the chance to bathe in the hot water while snowflakes fall from the sky onto your head and shoulders. Bring your own food to eat at the picnic tables set on a terrace above the pool. Purchase drinks and snacks from the on-site café. Browse for handicrafts and souvenirs at the gift shop. You’ll find the hot springs about 3 miles (4 kilometers) south of Banff’s town center within the national park, which requires an entry fee. Public buses operate between the attraction and Banff. Park at the entrance to the pools. 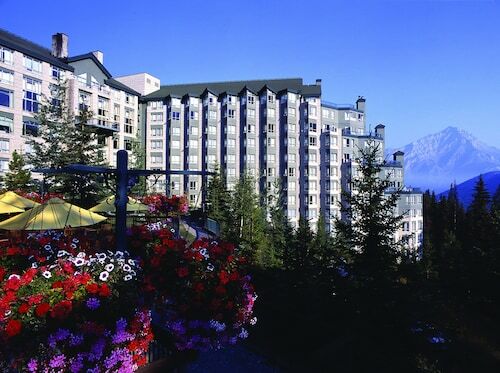 Nearby is the Banff Gondola, a scenic cable car with access to hiking trails and a walkway atop Sulphur Mountain. You can also hike from the springs to the top of the mountain along the Sulphur Mountain Trail. Upper Hot Springs is open daily until late in the evening. It closes for yearly maintenance in late October. Pay a fee to use the pools. Lockers, swimsuits and towels are available for rent. Visit the springs’ official website for more information. 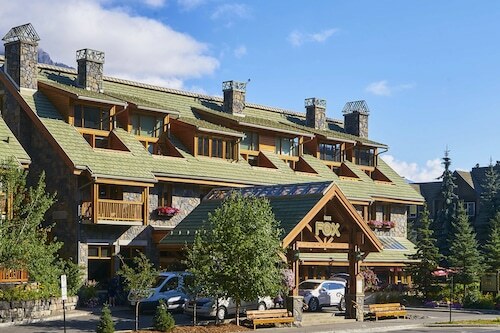 This opulent 1888 Scottish baronial-style resort towers over 2 scenic river valleys, 0.5 km (0.25 mi) from downtown Banff and within 10 km (6 mi) of Mount Norquay and Lake Minnewanka. 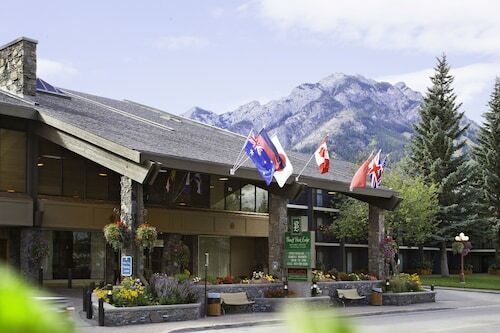 This historic 1908 hotel is located in downtown Banff, in the heart of the spectacular Canadian Rockies and within blocks of the Luxton and Whyte museums. The Sulphur Mountain Gondola is just 4 km (2.5 mi) away. 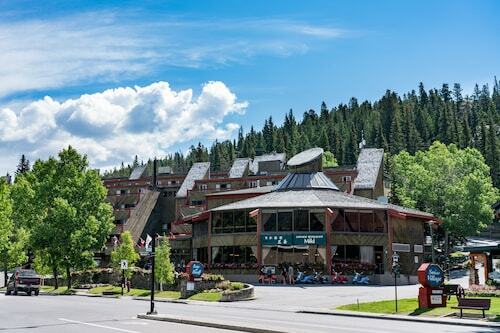 Located in East Kootenay G, this spa hotel is within a 5-minute walk of Banff National Park Information Centre and Banff Lake Louise Tourism Bureau. Banff Centre for Arts and Creativity and Tunnel Mountain are also within 2 mi (3 km). Banff Station is 7 minutes by foot.